It is with sadness that the family announces the passing of Verna Elizabeth Brown "Gramma Brown" on Saturday, April 7, 2018 at the Ste. Rose General Hospital at the age of 93 years. Verna was born on June 6, 1924 at Elkdale, MB to Elizabeth and George Patterson. She was predeceased by her son Jim, her siblings Kenneth, Ethel and Muriel and her granddaughter Brittany. 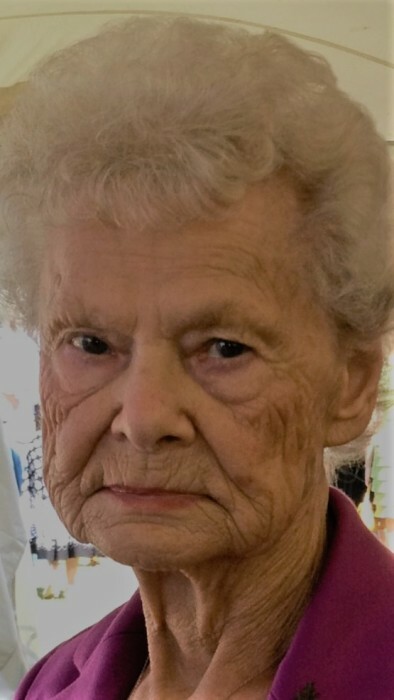 Verna will be missed by her sister Olive Amos of Calgary, AB, her children David (Marie-Rose), Lorna, Darlene (Andy), Rosy (Gordie), Carol (Randy), Larry (Jeannine), Shelly (Ronald), Danny, and her daughter-in-law Irene. Verna will be remembered by her 23 grandchildren, 44 great grandchildren and 4 great great grandchildren. A Celebration of Verna's life was held on Saturday, April 14, 2018 at 2:00 pm in the Ste. Rose de Lima Roman Catholic Church. Interment followed in the Ste. Rose Cemetery. Should friends so desire, donations may be made in memory of Verna to the Canadian National Institute for the Blind.